Denis flew in late last night for a conference. I have not seen him for a year or two, so it was a good opportunity to get together. He’s from near Boston, and after the winter weather they have been having, I thought he might enjoy being outdoors. As would I, curiously enough. 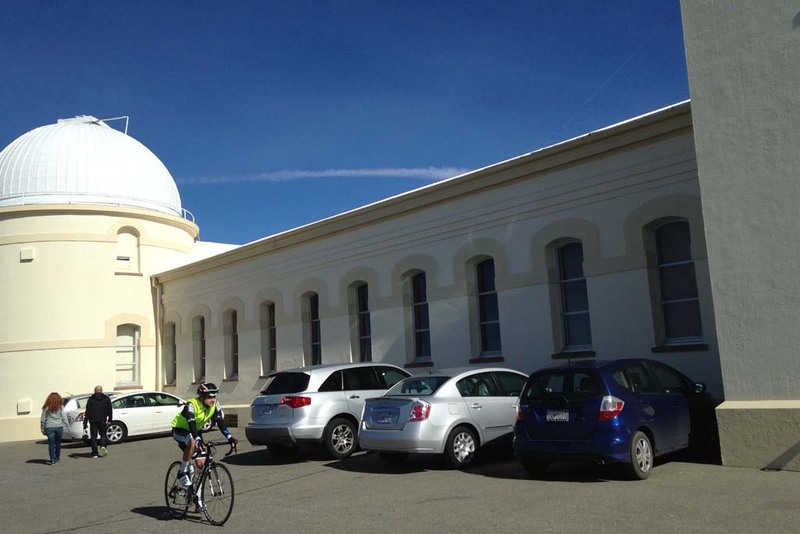 He had not been to Lick Observatory before, and it has been a number of years since I was last there. Why not! 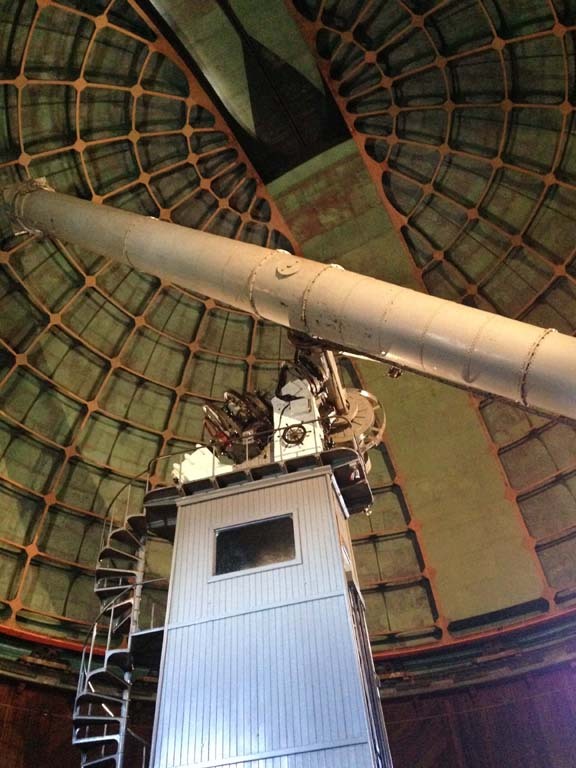 This 36-inch refractor was once the largest telescope in the world, then the largest refracting telescope in the world. 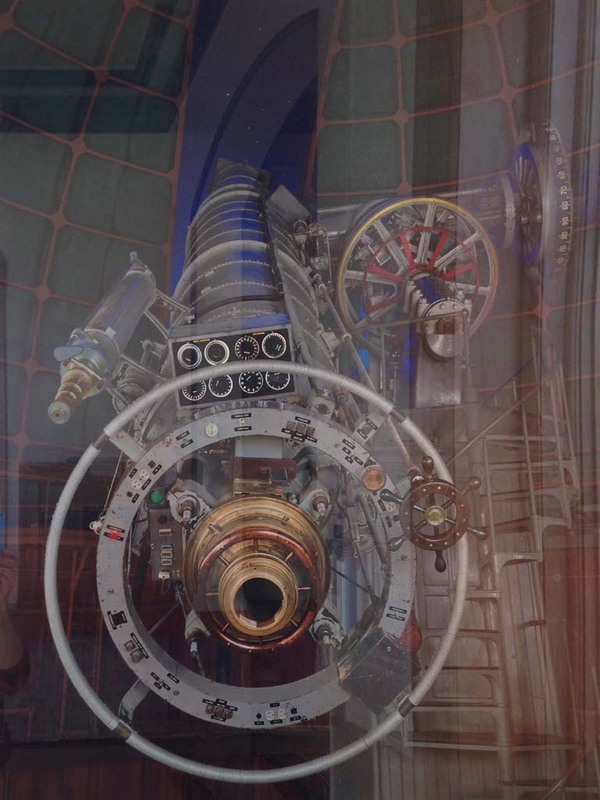 Then the 40-inch Yerkes telescope surpassed it, but the Yerkes lens sagged out of shape under its own weight, so this is yet again the world’s largest refractor. Lick was a woodworker who built the best pianos in the US. He discovered that his pianos were all being shipped to south America, so he emigrated there. Then he heard about the California gold rush, and moved to California with 30 000 pieces of gold and several hundred pounds of chocolate. He bought land with the gold, substantial fractions of San Francisco and of Santa Clara county. He sold the chocolate for food, and found there was a great demand. He wrote his friend that there was a better chocolate market in San Francisco than in south America, and urged him to come forthwith, bringing his stock in trade. His friend was named Ghirardelli. As the calendar ticked along, Lick began to consider his legacy. He first proposed to build a statue of himself near where the golden gate bridge now stands, but his friends pointed out that it would be right next door to Fort Point, and some gunner, on land or at sea, would find it impossible to resist such an inviting target. He considered at least one other plan for his own memorial before settling on the idea of building an observatory to house the largest telescope in the world. Sea-level San Francisco was obviously not the best venue; Mount Hamilton was a good choice. Lick could see the work in progress from his country home in Alum Rock. Lick died before the road to the site was completed, and was buried in San Francisco. However, his body was subsequently exhumed and now rests in the base of the refractor telescope. I had heard much of this story before, but didn’t know or had forgotten some of the details. Good to renew it. 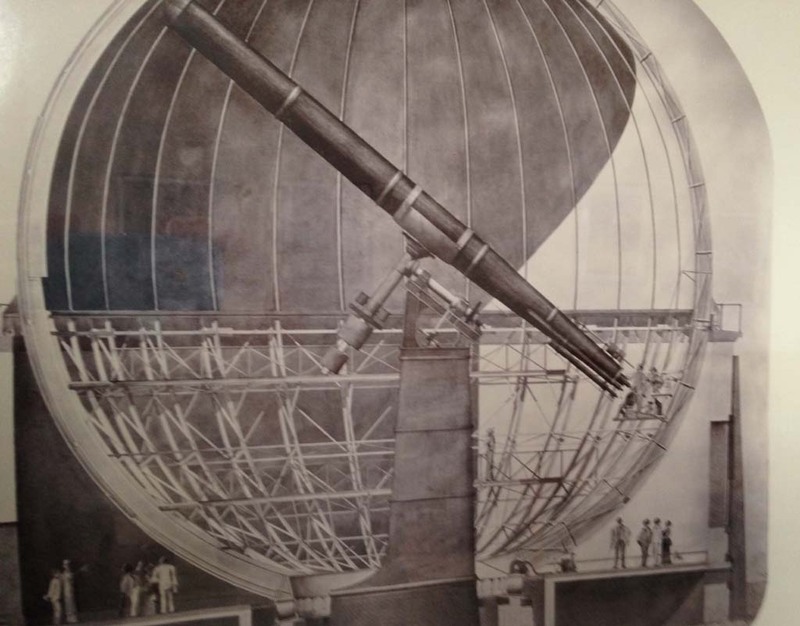 One way to get the astronomer’s eye to the end of the telescope tube would be to build a spherical observatory. But the caption said that the technology of the time probably wouldn’t have made this feasible. So instead, they raise the entire floor. The highest it can go is level with the upper deck. 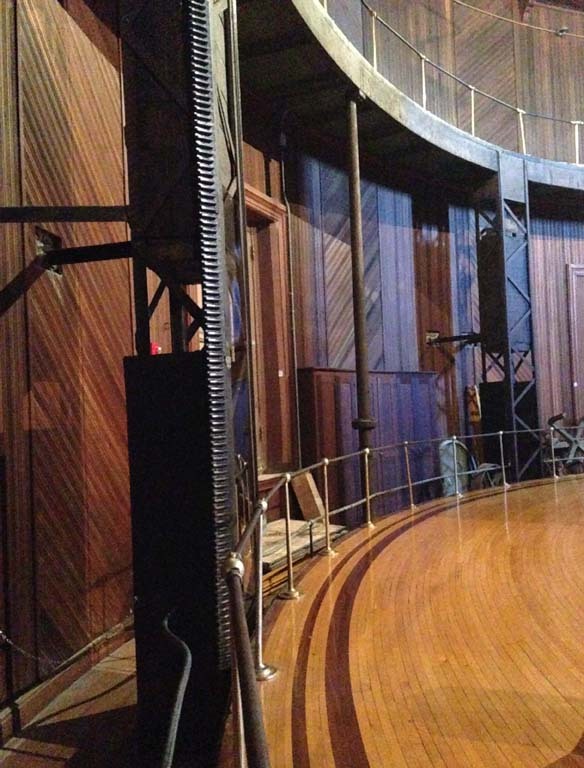 We also checked out the 120-inch reflector, which has an extremely interesting story in its own right, and is still in active use (oversubscribed, in fact) looking for planets around other stars. As always, the venue is a popular challenge for cyclists. Not as many as we see sometimes, but enough. 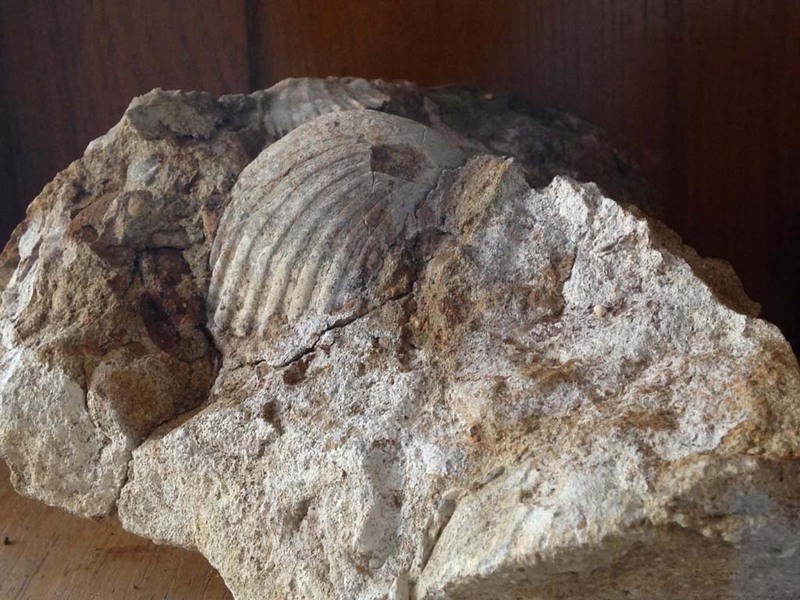 And in the display case, a reminder that this mountaintop was once at the bottom of the sea. We stopped at Grant ranch on the way down, hiked for an hour from the Twin Gates trailhead. Nice to be out on a brisk, sunny, wintry California day.